Phil and Ian are joined by Careena Fenton. 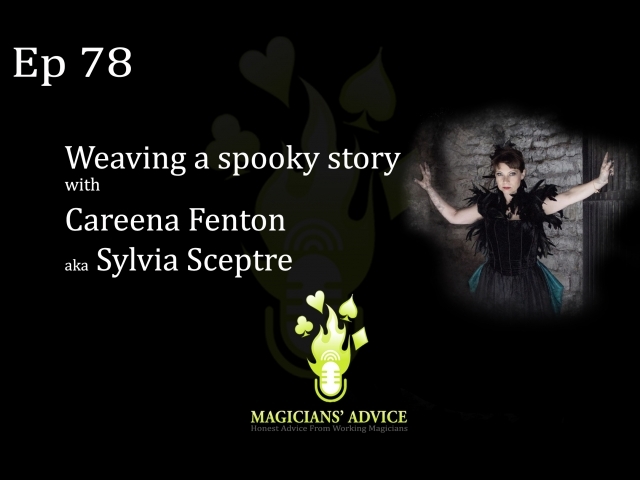 Careena is a magician in high demand performing in events worldwide as Sylvia Sceptre as well as just finishing a very successful Edinburgh Fringe run. In this podcast find out about Careena’s experience at the Edinburgh Fringe, about creating a character and about weaving stories in your performances. Huge thanks to Careena for taking the time out to talk with us and for all the advice she shared.